We raise service puppies for children with social/emotional disabilities or serious medical conditions. Lauren Holtz ’15, inspired by programs at other colleges that allowed students to live with and raise service dogs, wanted replicate them at Dickinson. After mulling it over and talking about it for a semester, Holtz came to an Idea Fund meeting and spoke about her vision for Dog House. Project consultants helped Lauren figure out who to talk to and how to start making it happen. After building a team, members identified North Star Foundation in Storrs, CT as partners. Then, during the spring 2013 semester, their first dog, Dino, came to Dickinson! 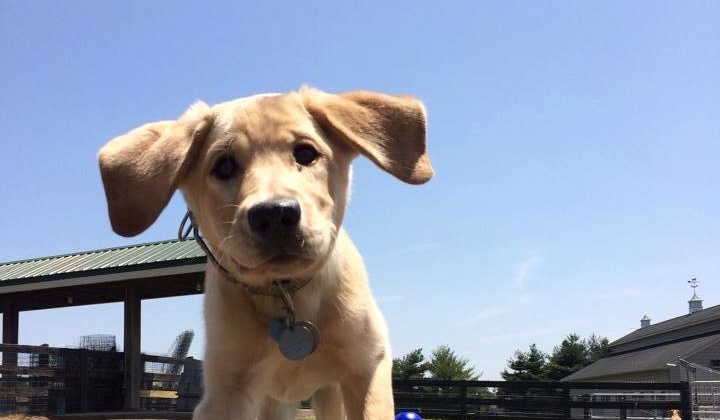 A 6 month-old golden retriever, Dino received a month and a half of training and love, before going on to his new family and owner: a 12 year-old boy on the autism spectrum. 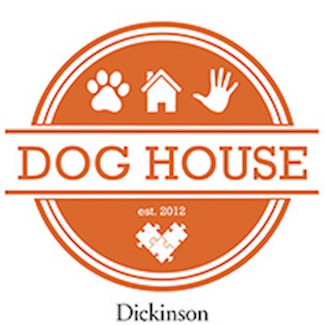 Due to its initial success, Dog House is now a Community Service Initiative officially recognized by Student Senate, and we have begun to work with Susquehanna Service Dogs to train more dogs more frequently.